This entry was posted in Uncategorized on March 21, 2016 by Jodi Mackay. This entry was posted in Uncategorized on March 14, 2016 by Jodi Mackay. This entry was posted in Uncategorized on March 7, 2016 by Jodi Mackay. 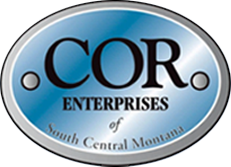 Calling all vendors for The COR Community Fair! We are starting to plan our 2nd COR Community Fair! Last year’s event was a great success and we received a lot of positive feedback from our vendors. 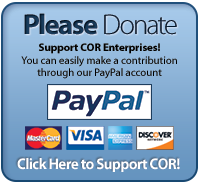 This event is a fundraiser for COR Enterprises. The funds from this event will be put toward our mission of promoting the dignity, independence and success of our consumers. PLANNED EVENTS: vendors (arts, crafts, antiques, accessories, direct sales, personal and health information, etc. ), HUGE garage sale, food, raffle, live music, etc. We will have 10x8 booths available for vendors for $60. We filled up pretty quickly last year, so I encourage you to save your spot early. We will have a variety of tables sizes available on a first reserve first receive basis. If your booth needs electricity or other special considerations, there will be an opportunity to note that on the contract. All booths will be inside, however, we have fair amount of outdoor space available if that is a vendor’s preference. Please email jmackay@corenterprisies.com if you're interested! This entry was posted in Uncategorized on March 2, 2016 by Jodi Mackay.